The National Theatre production of “War Horse” begins performances Thursday, June 14 at 8 p.m. at the Center Theatre Group/Ahmanson Theatre. Performances for the powerful drama will continue through July 29, 2012. Opening is set for June 29. 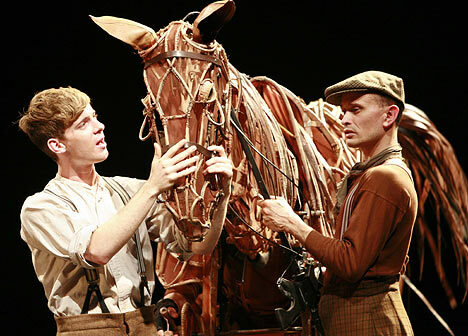 The National Theatre’s epic “War Horse” is the winner of five 2011 Tony® Awards including Best Play. Michael Morpurgo’s novel “War Horse” is also the inspiration for Steven Spielberg’s feature film of the same name, which has garnered six Oscar nominations including Best Picture. Hailed by The New York Times as “theatrical magic,” “War Horse” is the powerful story of young Albert’s beloved horse, Joey, who has been enlisted to fight for the English in World War I. In a tale the New York Daily News calls “spellbinding, by turns epic and intimate,” Joey is caught in enemy crossfire and ends up serving both sides of the war before landing in no man’s land. Albert, not old enough to enlist, embarks on a treacherous mission to find his horse and bring him home. What follows is a remarkable tale of courage, loyalty and friendship, filled with stirring music and songs and told with the some of the most innovative stagecraft of our time. French director Michael Hazanavicius was selected as one of the five DGA feature film nominees confirming that his film, The Artist is on an unstoppable march toward numerous Academy Award nominations. Hazanavicius joined directors Woody Allen, David Fincher, Alexander Payne and Martin Scorsese as DGA nominees for 2011. Far more surprising than those nominated, were the two big names left off: Steven Spielberg and Terrence Malick. Considering that both ‘War Horse’ and ‘Tree of Life’ were thought to be primarily “director” films, Spielberg and Malick’s failure to earn DGA nominations provides strong evidence that their Oscar chances could be fading out. ‘Moneyball’ director Bennett Miller was another notable name left off the list. 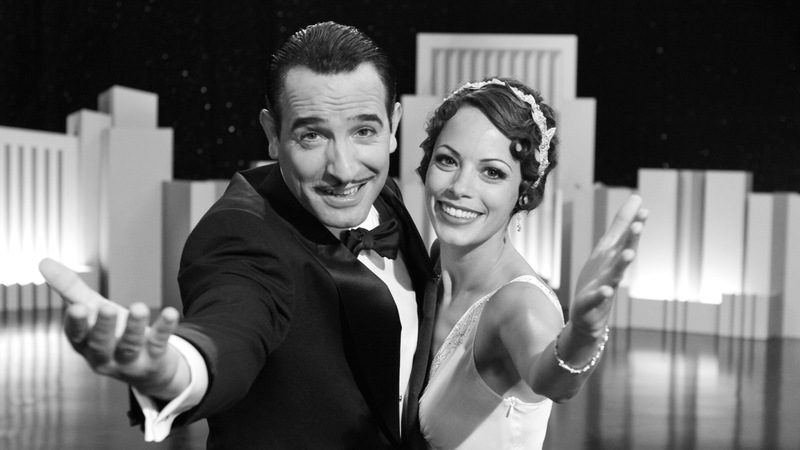 The Golden Globe Nominations for 2011 were announced this morning and a black and white silent film, The Artist led the pack with six nominations. The Descendents that some critics found to a big screen TV drama not worthy of all the award buzz also fared well, as did the southern drama, The Help. Woody Allen’s Midnight in Paris also become a front runner. The George Clooney directed Ides of March was recognized as was Clooney’s co-star in that film, Ryan Gosling, who received two nods. Even Brad Pitt got some love for his fine turn in Moneyball as did Michael Fassbender for his gutsy, balls out acting in Shame. For the women, Michelle Williams was recognized for her work in My Week with Marilyn as was Meryl Streep for The Iron Lady. The brilliantly funny Bridesmaids went to the wedding today and Charlize Theron scored with her acting in Young Adult. But it was some of the films that did not get mentioned that will be tweeted about in Tinsel Town today. Perhaps most notably, the complete shutout of a perceived Oscar front-runner, Extremely Loud & Incredibly Close, a post-9/11 drama from Stephen Daldry and the producer Scott Rudin. Steven Spielberg also fared poorly, with his old-fashioned War Horse only picking up a pair of nominations and Mr. Spielberg missing from the best director category. The Globes will be presented on January 15, 2012, and will once again be hosted by the hilarious UK comic, Ricky Gervais.